Markets in Shanghai stock everything from custom made suits and dresses to antique furniture to live crickets and they demand the skills of a determined haggler. Take your time and scan all the stalls before making purchases. Remember to bargain way down from the first quoted price. Expats are spoilt for choice when it comes to western and local grocery shopping in Shanghai, with numerous high-end and down to earth food markets, spread all over the city. If you’ve been let down by the petite sizes and uncertainties regarding brand authenticity, try putting together a classy wardrobe at the South Bund Fabric Market. It contains over 100 stalls crammed into a four-storey building selling all kinds of cotton, wool, cashmere and silk. They have model designs (in petite sizes), but you certainly don’t have to buy those. Simply pick out a clothing design, colour and fabric. Staff will then take your measurements on the spot, and a few days later you return to collect your fitted garment. Better yet, bring in a photo from a fashion magazine. The market is also a favourite for businessmen looking for a new suit, overcoat or tuxedo. The market also has an abundance of accessories such as ties, cufflinks, belts braces amongst many others. You can expect a price range of RMB 400 to 3000. In this range, there is a huge difference in the quality of the worksmanship. If you are purchasing a suit that you will use often, don’t be afraid to pay a midrange price as you will be more satisfied with the quality. Several charming streets full of stalls selling old coins, books, Charman Mao figurines, classic propaganda posters and other assorted curiosities. Whilst many of the items found at the market are replicas, experienced antique shoppers will be able to find genuine items. Some claim to have uncovered extremely valuable items at basement prices. The area is due to be demolished within the next year however - get there whilst you still have the opportunity! A bustling market selling Chinese lanterns, board games, novelty chopsticks and pretty much every other souvenir you can think of. Be aware that this is perhaps the epicentre of tourism in Shanghai. The prices will be more expensive and it is almost always crowded. If you’re tech-savvy, this is the place to go for grey market electronics. The best purchases are non-branded electronics sold wholesale to grey market vendors by the OEM (original equipment manufacturer) As always, however, be aware that looks can be deceiving. If you have just purchased what you believe to be an incredibly cheap iPod, don’t be disappointed if it is nonfunctioning by day three. 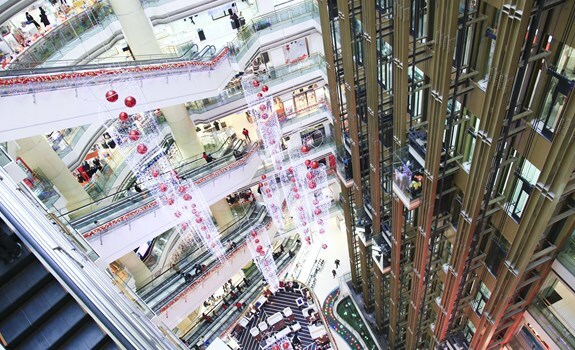 The electronics centre of Shanghai is Xujiahui, where you’ll find malls, stalls and superstores overflowing with goods. You can literally find every electronics brand imaginable in this market which also offers an assortment of grey market goods. On your way there keep an eye open for the big glass ball that marks the location of the market. Set aside a few hours to browse several stores and compare prices. In many areas, such as the massive Metro City, prices are very negotiable. There are illegal DVD shops all over Shanghai. If you have no moral qualms about it, you can pick up almost any popular Chinese or foreign film for RMB 8-12. Most established vendors also sell box sets of popular series and music CDs. Quality varies, and while some shops accept returns, others don’t. It’s best to try a few shops and stick with one that consistently sells quality discs and that you can trust. This market has a vast array of plants and flowers and is a good choice for a visit if you want to warm up your new residence. Delivery is available for a price. The second floor of this market has a dizzying array of pearls, semi-precious stones, turquoise and coral jewelry. The main floor of the complex is a souvenir, clothing, sports, and accessory market which is very popular with foreigners. If you need anything from table runners, to socks, to golf clubs or sunglasses, this market has it. To get a good price at this market you must be an experienced haggler as the vendors are used to unwitting foreigners who inadvertantly pay far too much for their goods. A quieter and less crowded version of the South Bund Fabric Market. You will find the same fabrics at comparable prices. Expect English-speaking vendors but take a translator if your needs are complex. From the developers who made the hugely successful Bicester Village in the UK, this retail outlet comprises of hundreds of shops just an hour from Shanghai, with free transport provided.